Today, as usual, I put on my dobok, tie a black belt around my waist and pledge: Rather than instructing to "do it," I say, "let's do it!" I would like to wish that all of your lives be joyful, lively, and enriched by Taekwondo. Winter has suddenly passed us by and I come to a realization that life, too, passes us by quickly. I see myself learning every day as I teach Taekwondo. As I write this article, I would first like to thank all of my students who help me learn many things about life on a daily basis. It is somewhat awkward for me to write, since I am involved in a lifestyle that teaches about the physical and mental aspects of our well being. But I've always wanted to formally express my gratitude to all of you. Over the years of training and instructing, I've come to realize that real joy truly comes from being humble. A master should have pride and dignity that is also well deserved, but the characteristics that supersede all others is humbleness and respect. Personally, I find it difficult at times to be humble and respectful. Many times I see that you are better than I am, and yet you all call me Master Yun and show me great respect. It is at those times that I sense that maybe I am your student. My hope is that all of you get out of Taekwondo more than just a good workout. I hope that it brings you happiness for many years to come. "Once you've trained the body, you are able to keep the family strong, and in doing so, you are able to take another step forward and reign over the whole world." Having said this, I would like for all of you to acknowledge the fact that everything in life starts within yourself. With this acknowledgement, I hope that all of you devote yourselves to diligent training. Taekwondo is not just a sport, but rather, it is a philosophical dance. I would like to inform you that it is not a learning philosophy, but a philosophy of enlightenment. It may be that Taekwondo is a journey to great wisdom, through vigorous training. 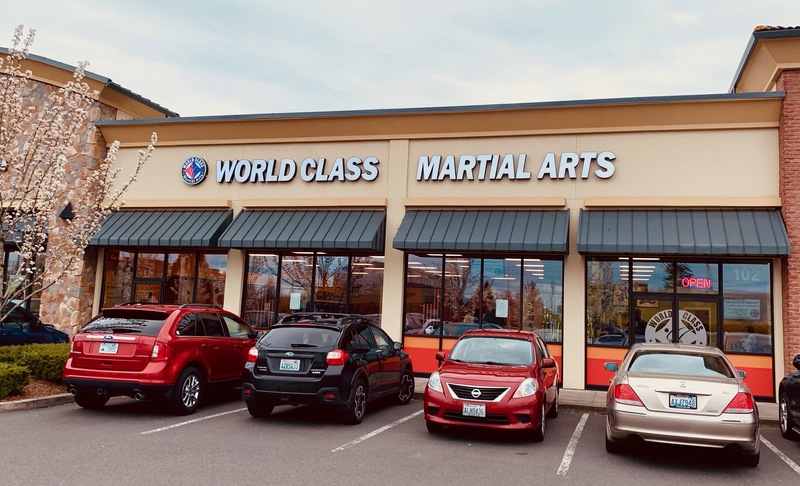 While you devote yourselves to thousands of repetitive motions, you too, as the strong martial artist does, will also be able to appreciate the philosophy of martial arts in greater depth. I, too, sometimes feel inadequate, but I would like to work and learn with you so that I can become a better master. There are many things that occur in our dojang. There are times when we bypass the important events in life. Although you catch some of those mishaps, I hope that you understand. 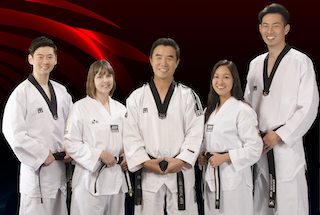 In closing, I thank all of my students, their parents, and other family members who have been so understanding and steadfastly supporting our Vancouver Taekwondo School.